Toscana is perhaps the most famous of all Italian wine regions, home to some of the world’s most prestigious wines. Situated in central Italy, Tuscan wine has a rich, diverse history and origins which can be traced back as far as the fifth century BC. Today, Tuscany is at the forefront of oenological excellence and offers the world an array of internationally acclaimed wines such as the archetypal Chianti, as well as the renowned Brunello di Montalcino and Vino Nobile di Montepulciano. Alongside Piedmont and Veneto, this region houses a strong complement of DOCGs and more than 30 DOCs, including the likes of Rosso di Montalcino, Bolgheri and Morellino di Scansano. Key to the area’s prestige is its distinctive terroir. Several factors contribute to an ideal environment for the cultivation of grapes: coastal and mountain climates, a mixture of well-drained and dry soils, predominantly rich in sand and clay, moderately hilly terrain extending towards the Apennine Mountains and excellent topography. The warm temperatures coming off the coast, combined with the cool breezes from the hills, create a multitude of microclimates. Tuscany’s signature red grape is Sangiovese. Considered one of Italy’s ‘greats’, Sangiovese is the mainstay in all but one of Tuscany’s seven red-wine DOCGs. 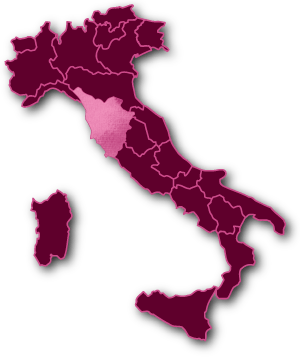 In Montalcino it goes by the name Brunello, hence the name Brunello di Montalcino (here it also comes under the guise of Sangiovese Grosso), and in Vino Nobile di Montepulciano it is locally known as Prugnolo Gentile, accompanied by small amounts of native varieties Canaiolo and Mammolo. Chianti, famed the world over, also features Sangiovese, as well as permitting the addition of small amounts of Canaiolo and Colorino, and international gems Cabernet Sauvignon and Merlot. It is also the basis for Morellino di Scansano (Morellino is the name Scansano locals use for this grape). With the rise of the ‘Super Tuscans’, Cabernet Sauvignon has become a much more prominent variety in this region. Despite the internationals finding their way into Tuscan wines, native varieties still reign. As well as being famed for its reds, Tuscany produces some distinguished whites, one of which has achieved DOCG status (Vernaccia di San Gimignano). 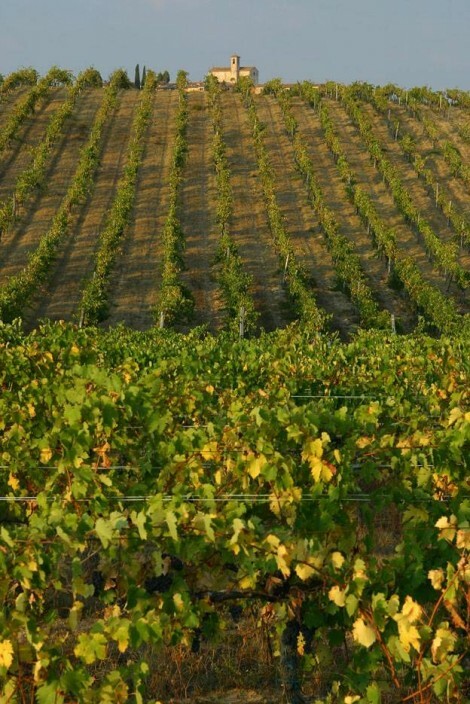 The region is also home to the eminent dessert wine Vin Santo (which translates as ‘holy wine’), usually comprising Trebbiano grapes which have been air-dried until the start of Holy Week before being made into wine.